It seems to be a phenomenon that everyone flees Auckland as soon as there is a long weekend on the horizon. We’re accepting the fact that we’re going to end up in a huge traffic jam towards north and south come Friday afternoon to spend the weekend in overrun holiday resorts with fellow Jafas ("Just another effing Aucklander"). How about staying home the next long weekend and enjoy the activities Auckland has to offer? It’s guaranteed to be a lot quieter than on regular weekends. To help you a little with what to do in Auckland, I put together a handy long weekend itinerary for the people who like to be active and are budget savvy at the same time. Woodhill bike park is a mountain biker’s paradise! With over 100km of single trails, they have something for everyone. Family-friendly tracks close to the entrance, heaps of trails for beginners and intermediates, and the pros don’t fall short, either. And I made it through the park, which means that everyone can. The entry fee is a very budget-friendly NZD 10 (reductions for kids and youth), so there is no excuse to not at least give it a try. There are no shuttle busses that drop you off at the top of the hill, so a reasonable fitness is of advantage. But believe me, you’ll enjoy your after-ride beer and dinner even more that way. Speaking of after-ride, their café serves yummy coffee and hot chocolate and in nearby Riverhead you can finish off your day with a lovely dinner at either Hallertau Brewery or Riverhead Tavern. Clevedon Farmers Market isn’t unknown to any Aucklander who’s a little bit into shopping fresh produce and yummy street food. It opens its doors every Sunday from 8.30am to 1pm and offers everything your heart desires. 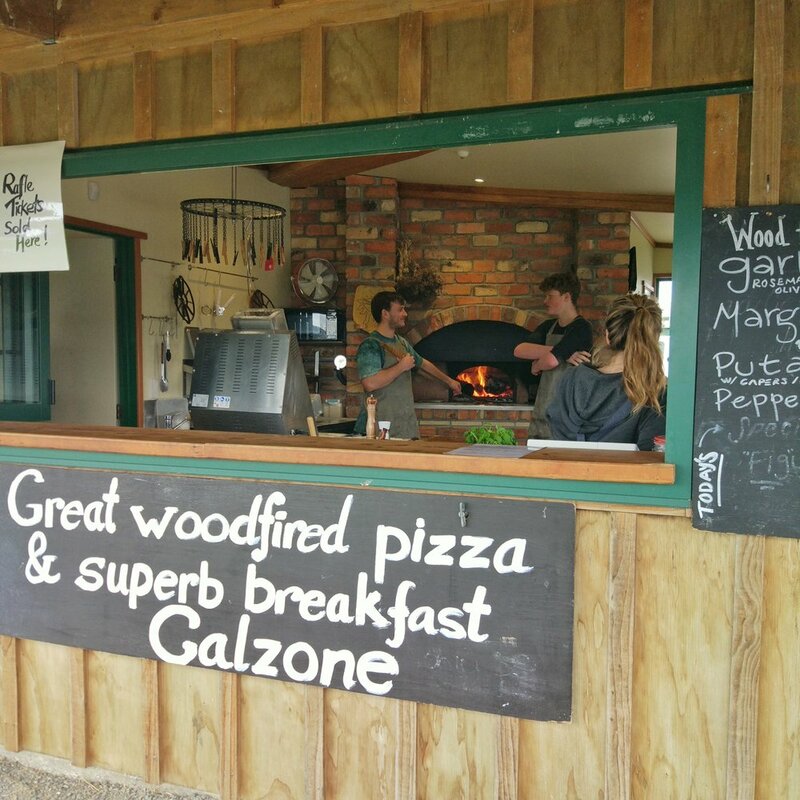 And our heart definitely regularly craves the best pizza we have so far tried in Auckland, if not even in all of New Zealand! But before we allow ourselves to indulge in a heavenly Margharita with Prosciutto, we pre-burn those calories in the Clevedon Scenic Reserve. The 220 meters climb makes around 1.5km walk and 30 minutes each way. 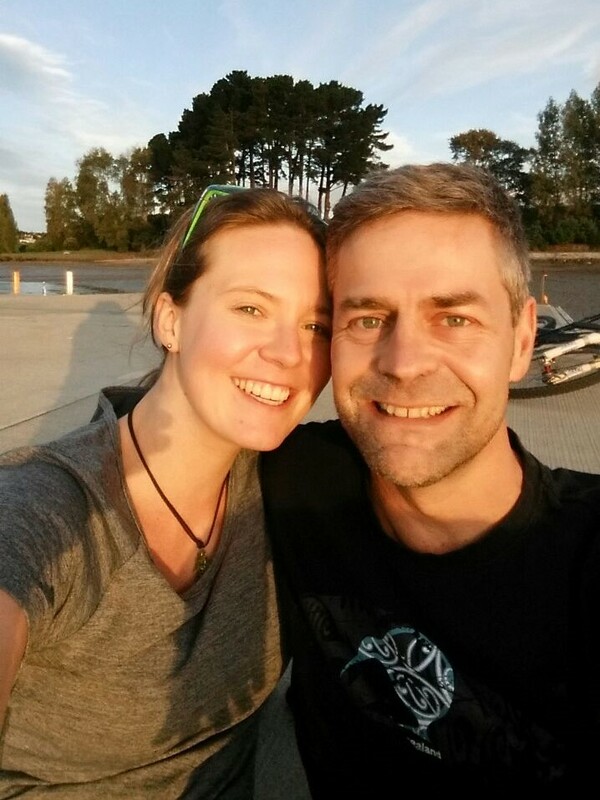 It leads you through a lovely forest of fern and Kauri trees and can be muddy at times. The 360° view at the top is breathtaking and totally worth all the sweat. You can see as far as the Skytower on one side and Coromandel on the other. Make sure to arrive at the reserve early enough or you’ll miss out on the pizza! On the way back to the city, take the route along the coast and spend the afternoon lazing on the beaches of Maraetai. There are loads of shorter and longer hikes in the Waitakere Ranges in the west of Auckland, it makes it hard to pick only one. The Karekare beach to Pararaha Valley loop surely is a great choice. 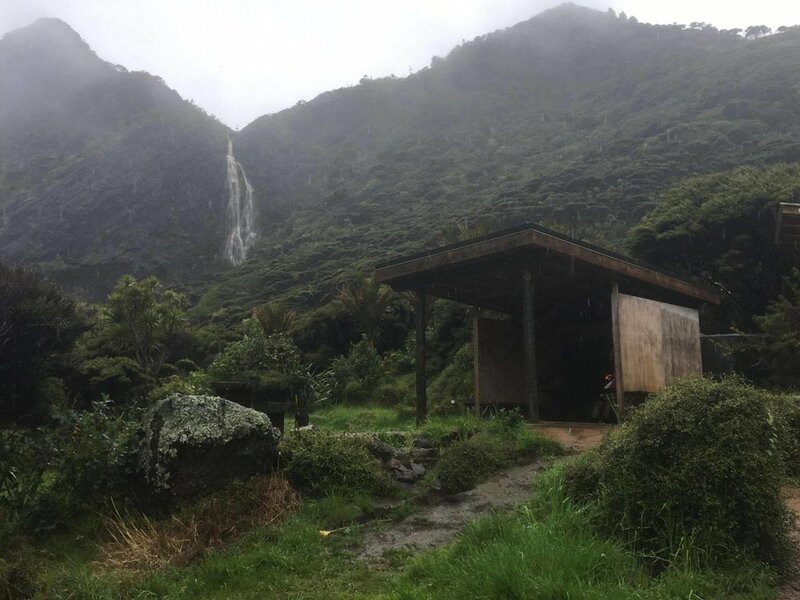 It is a 11km loop (including a return side track to a hut for lunch), starting at Karekare car park. The tramp is of medium difficulty, becoming slippery and difficult when it rains. 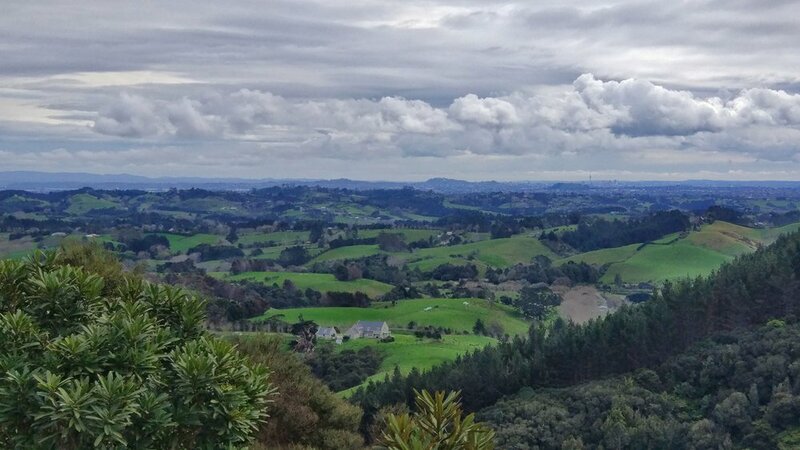 But it boasts some of the most amazing views over Aucklands west coast and into Pararaha Valley. The hard part is in the first half of the track, with some ups and downs through the native forest. To get to the lunch hut you’ll have to walk through a stream which can carry quite a lot of water after heavy rain. The second half of the hike leads you through the wetland of Pararaha Valley and the wild, black sand dunes of Karekare beach back to the car park. Make sure you calculate enough time that will allow you a decent lunch and plenty of time to take very instagramable pictures. About 4 to 5 hours should do it. After you’re back at the car, head over to Piha beach for a drink at the Piha Café.